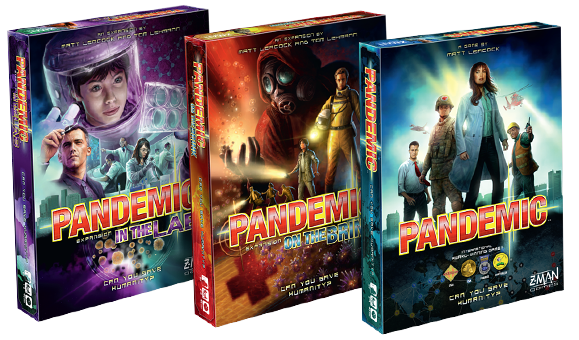 Pandemic: The Cure is a stand alone, dice-based version of classic cooperative Pandemic board game. Just like the original, you win or lose together as your team travels the globe treating diseases and keeping hot spots in check while researching cures. In this version, though, rolling dice determines everything from the outcome of your actions to the behavior of diseases. 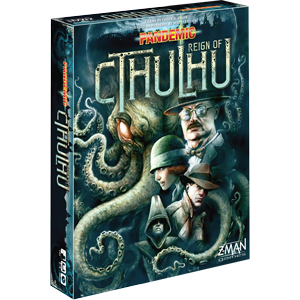 Each character has both a unique ability and a set of dice you roll at the start of each turn. Depending on the results, you can fly or sail between population centers, treat diseases in your region, collect samples for further study, or exchange information with other players. 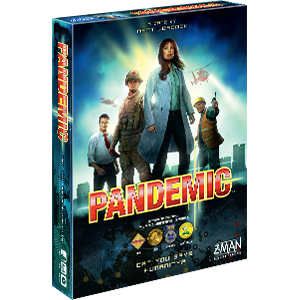 Try for the perfect turn by rerolling your unused dice, but each biohazard symbol that comes up brings you one step closer to the next epidemic. 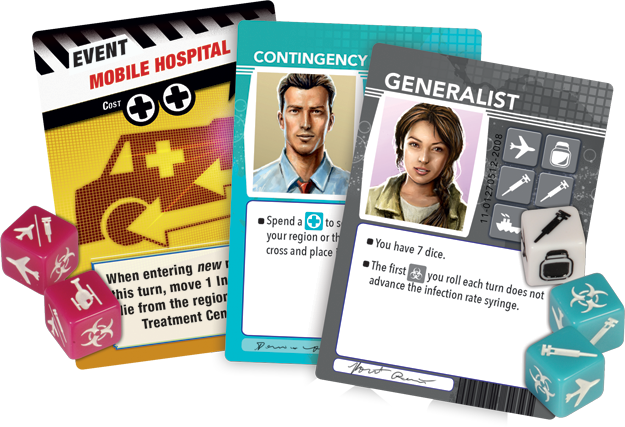 Dice represent more than just actions in Pandemic: The Cure. 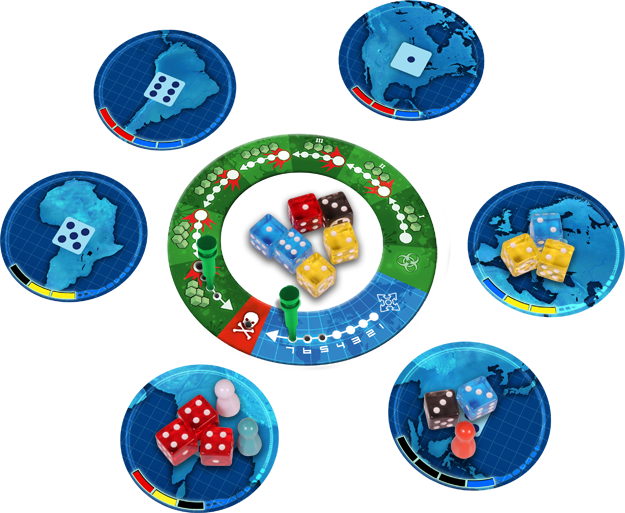 Each round, roll new infection dice and assign the results to regions around the world. An outbreak occurs if more than three dice of the same color occupy the same region, thereby spreading disease into adjacent regions. 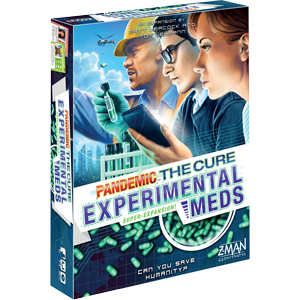 You can lock one of your dice to collect disease samples and fend off global disaster. Once you have enough, roll the collected samples of one color to attempt to find a cure. On a combined result of thirteen or more, you find the cure for that disease! 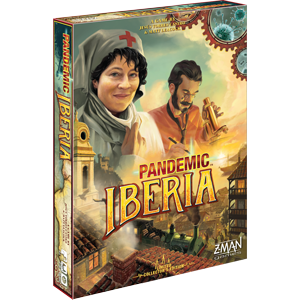 Play the odds as you re-roll your player dice, ward off outbreaks and epidemics, and search for cures. No matter what you roll, the fate of the world is in your hands!